Yet Another SciFi Blog: String theory, multiple dimensions, the Elegant Universe! String theory, multiple dimensions, the Elegant Universe! 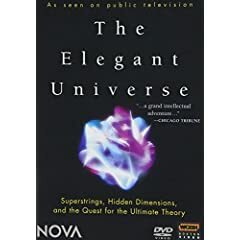 More science than fiction, although some would argue the opposite, this 464 page book deals with the universe, string theory, multiple dimensions, general relativity vs quantum mechanics, and a lot more. 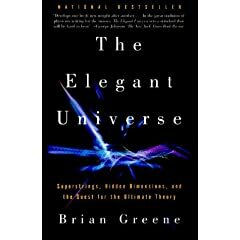 Written by Brian Greene whom you may be familiar from the accompanying documentary that aired on PBS TV stations around the country. The documentary is available in DVD format as well. If you want more scientific bang for your buck (no pun intended), you can the repackaged edition that contains "Einstein's Big Idea" and "Einstein Revealed" in addition to "The Elegant Universe" for around $25 on Amazon.